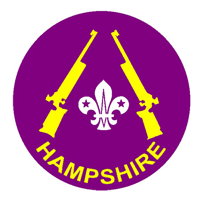 A more advanced qualification suitable for those who wish to supervise air rifle and air pistol shooting by Scouts. The next available Course will be held at 21st Romsey Scout HQ on 3rd and 4th June. This course is now fully subscribed. This is a techniques course in air rifle and air pistol shooting. It covers air rifle shooting in the standing position and deliberate (precision) air pistol shooting. It is especially recommended to holders of an NSRA YPS Tutor’s Diploma in either Air Rifle or Air Pistol who wish to add the other discipline and also to those who wish to progress their knowledge of shooting techniques to the next level. The course fee includes an NSRA course handbook and certification (valid for 5 years). 1. Hold or be planning soon to obtain one of the following qualifications: NSRA YPS Tutor’s Diploma, NSRA RCO or NRA RCO. 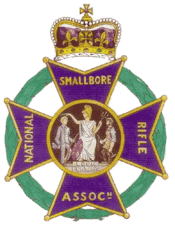 NSRA RCO (Airgun) assessment of experienced club shooters can be carried out during the course by prior arrangement. 2. either be a Life or Annual member of the NSRA or hold a current adult appointment in The Scout Association. You must ensure that your underpinning Range qualification remains valid (NRA RCO, NSRA RCO or for “Airgun only” Roles, NSRA YPST) for your Club Instructor Licence to be valid. Club Instructor renewal requires evidence of continuing satisfactory performance of the relevant role. This is normally provided by a letter from the secretary of your NSRA-affiliated shooting club. Again, it is important to apply for renewal before your existing licence expires. It will be helpful to send the club secretary your logbook or a copy of it. Your club secretary should then write to the NSRA quoting your Licence numbers (both CI & RCO/YPST) and enclosing a cheque for £30.00, payable to “NSRA”, to: NSRA, Lord Roberts Centre, Bisley Camp, Brookwood, WOKING Surrey, GU24 0NP. (Do remember to provide/update your postal address, ‘phone number and email address for NSRA records).